In October 2011 Mojang announced a program which used Minecraft in order to improve urban planning in different Swedish neighborhoods. 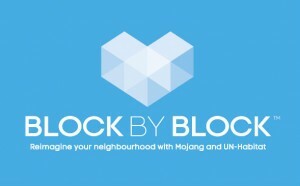 On 5th September 2012, as a result of that program’s success, Mojang announced that he will partner with UN Habitat in a joint project called Block By Block which aims to involve youth in the planning process in urban areas by giving them the opportunity to show planners and decision makers how they would like to see their areas in the future. Mojang will be the main financial sponsor. The program is designed to run for 3 years; the first pilot project, in Kibera – one of Nairobi’s informal settlements – is already in the planning phase.